Choosing a responsive and SEO friendly WordPress theme is a tricky decision but selecting a theme which maximizes your earnings is tough. Isn’t it? Selecting a theme is a first step towards to build a excellent WordPress website, But getting an organic search engine traffic and make an income from your site without hurting user experience you need an excellent theme. When I ask my friends who new to WordPress about, what they want from a theme? They want a fast, responsive, SEO friendly, affordable price and money-making theme. Getting all the above quality from one theme is not possible many times. Many new bloggers ask, why I buy premium WordPress theme? I am using WordPress from 2013, and after checking many free themes, I found the majority of the theme is not fast or not SEO friendly. So, I introduced you to the best premium WordPress theme for your blogging site. 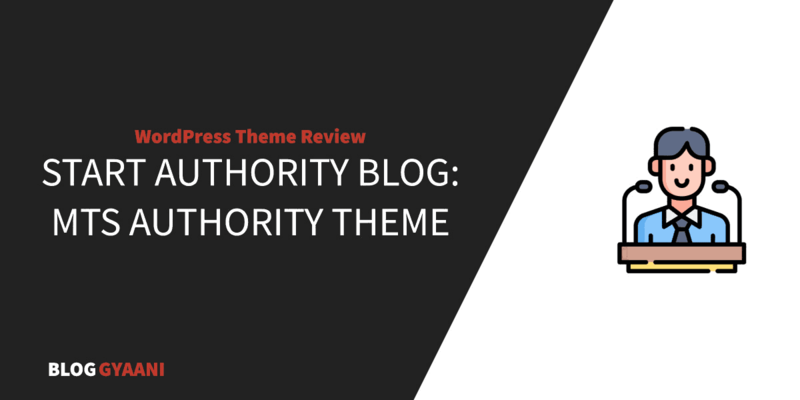 Authority Theme from MythemeShop. Also check GeneratePress. This theme is the highly optimized theme for your WordPress blog and helps you to build your brand and authority in short time. Authority theme builds based on Matthew Woodward’s six figure blog and with his full endorsement, this is a theme you can trust to help build your brand. Check some of the greatest features of MyThemeShop Authority Theme. Making a responsive website from day one get you advantage in search engines and for WordPress, you get many plugins for to do this work. But why you install a plugin to make your website mobile friendly when this theme makes your blog ultra responsive and render it to any screen. Check the image to get an idea of what this theme do for your site. Why you make your blog mobile friendly? When you were doing SEO for your website, you check every update and rule from Google and apply it to your site to maximize SEO potential. Google said, making your site mobile friendly give you a boost in its ranking. Nowadays, everyone loves a speedy website, and no one wants to waits for more than three-minute to watch your site still loading and if Google considers speed to decide your ranking in search engines, take it sincerely. Authority theme is a very lightweight theme and weight into 100kb only(frontend loading). It makes your site loads faster. Whenever you check for review of any product, you find star rating in search engines. That is possible with schema.org markup. Schema markup gives you unique look in the search engine, and its help search engines to understand your website quickly. Authority theme gives you strong schema.org Foundation. Many believe schema.org get you higher search engine ranking but according to backlinko research on one million domains, schema markup doesn’t correlate with higher rankings. Coding to customize theme is my biggest fear, that’s why I am always searching a theme with minimal coding or no coding required at all. Authority gives you a powerful optional panel where you set many small things which are possible via plugin or coding in other themes. WordPress requires all theme setting done via customizer, but I don’t know why MyThemeShop does not blend its optional panel to customizer, this is a reason why I give only four stars to coding. MyThemeShop provides support via forum and you get an answer in 2 to 4 hours. I want to change my published date to updated date, and after posting this issue in their forum, I get an answer in 2 hours. Check this video for MyThemeShop Authority Theme Setup Tutorial. Why you buy premium WordPress theme if it’s not updated with times. I buy authority theme on 03/04/16, and at the time of writing (13/04/16), I get two updates from MyThemeShop. It shows their seriousness towards to business; that’s why you trust them with your money. Ads are an essential part of any successful blogger but adding your ads at the perfect place in your blog requires lots of testing. Matthew Woodward knows where to place ads to make a six-figure income from your blog, and MyThemeShop makes its easy for everyone. Go to Ads Management tab in the theme options panel and place your ads to the best possible place. This theme comes with four website designs, and every design looks beautiful. Check and test every model to figure out which is suitable for your website. MyThemeShop gives you many functionalities inbuilt, so you don’t need the plugin for that work. Check Learn How To Speed Up WordPress Site Like A Pro for more details. Always choose an excellent theme for the blog and stick to it for a long time, dough you can change the design of your blog often but like our houses make your foundation stronger. I proudly use MyThemeShop themes and product on many of my websites and recommend it. MyThemeShop Authority Theme is the best theme to build authority website in Blogging and SEO niche, Its design based on Matthew Woodward Six Figure Blogging experience. This theme comes with perfect ads placement which helps you to maximize your earnings without hurting user experience of your blog and can get ultra responsive, lightning fast, schema markup ready theme at an ultra-affordable cost.